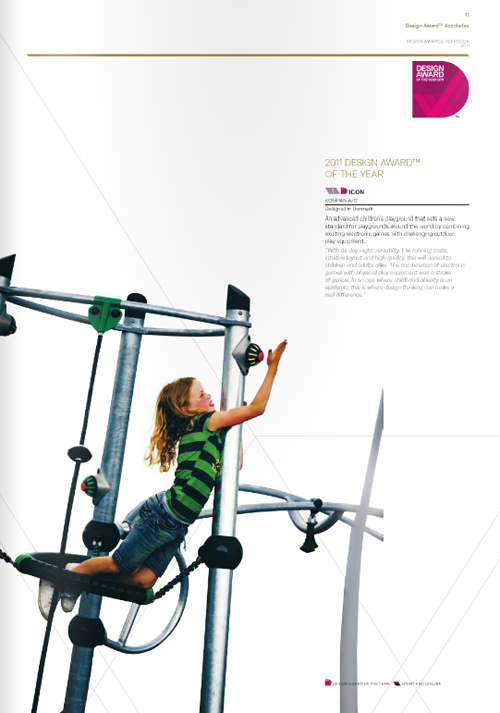 KOMPAN, a company that is dedicated to creating child-focused play equipment has been recognised by the Australian International Design Awards Yearbook 2011 winning the '2011 Award of the Year'. 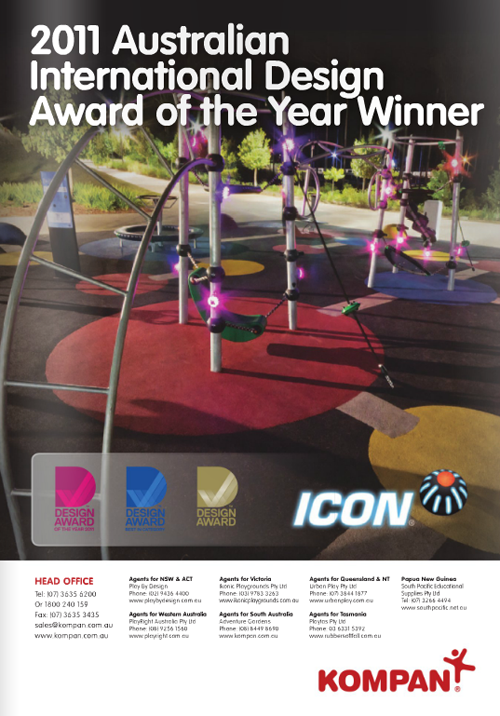 The award recognises the KOMPAN playgrounds as advanced, setting a new standard for play grounds around the world by combining exciting electronic games with challenging outdoor play equipment. KOMPAN began 40 years ago when artist Tom Lindhart Wils noticed that his bright sculpture, which had been placed in a new housing estate to add colour to an otherwise drab surroundings was given more attention by the children who frequently played on it began to work on creating play equipment. Today KOMPAN is the world's leading specialist in play solutions for all age groups and still growing globally. Great information! 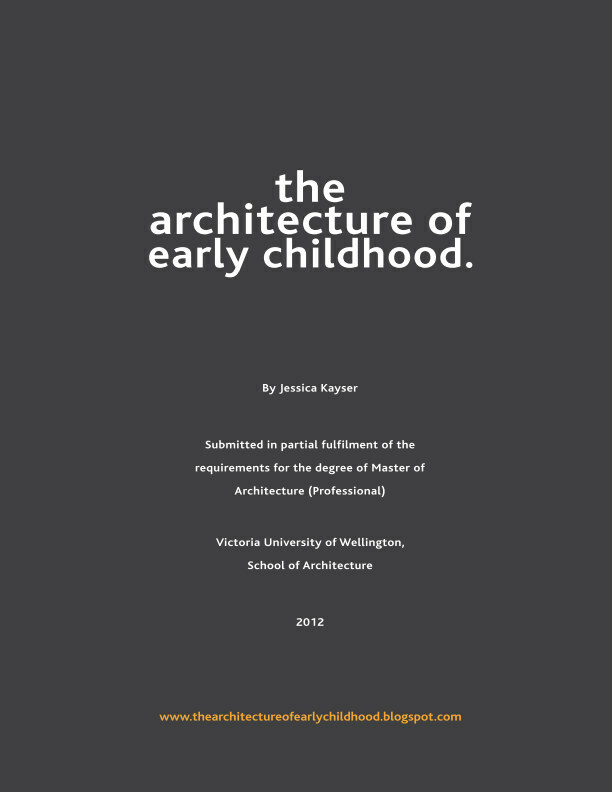 i think unique design for playground always work and most importantly the playground that makes kids learn from it is always a award winning playground.